One of the exciting parts of my Japan trip was being able to enter the shops and try everything ! I was afraid that they would throw me out but they didn’t, I managed to control my facial expression so that my smile still looked natural enough and I didn’t look like a total obsessed pervert drooling around their counters, you know what I mean, I hope. So there I was in Ginza, I admit I am no good with directions, so getting lost is just a matter of minutes, it happened. After 1 hour or so walking around I finally saw the boutique. I approached their entrance in slow motion. Ginza is not a place where I feel that comfortable, women are so elegant, walking around in high heels, their dress, the way they move around is so aerial and elegantly-posh. I was a sweaty tourist lost in Ginza and that wasn’t pretty, I was afraid they would look at me, ignore me and don’t even help me. I have experienced this attitude in London and Switzerland and was wondering how they would welcome me. Despite the way I looked, Kashoen welcomed me with respect and with a huge warm smile. 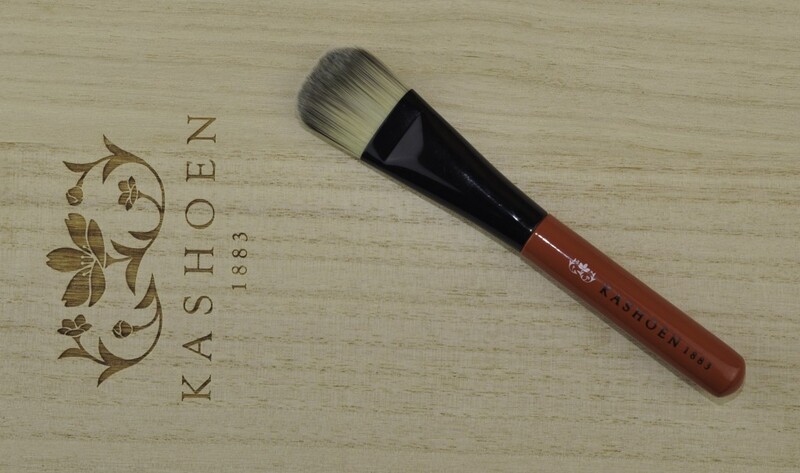 Kashoen are the oldest brush manufacturers of Kumano, they may also easily be the most expensive brushes. 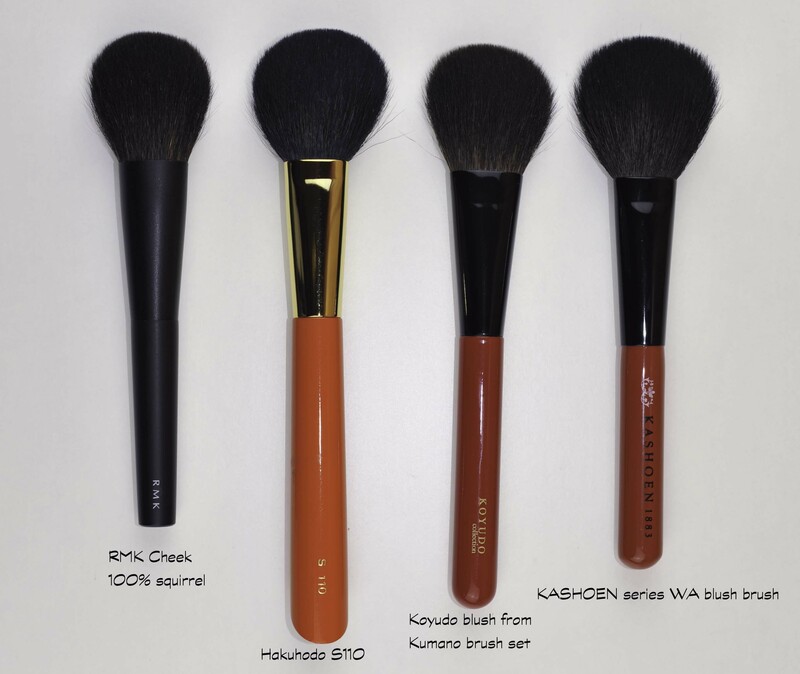 They have different series, some of them are extremely expensive and have very special handles, the “Royal”, hair is rated SS class, other series are more for the retail shops, Shoko, hair is rated A class, in the middle range we have the Kashoen series, hair is rated S class. In their boutique, they have the Royal series in a wall glass cabinet that you cannot open yourself, but they did open it for me during my first visit, during my second visit they did not open it but I did not ask either. In the middle of the boutique they have an open display with the more affordable series, there you can easily play with them. If you come from the Mac world directly, without going through Chikuhodo, Koyudo, etc… you will find these series really good. But you know I own very good brushes that’s why I wasn’t that much impressed with these. I love the logo, the color of the handle and the quality of the bristles is great but although I have a huge respect for them, I was expecting a little bit more for the price I paid. I will tell you why below. 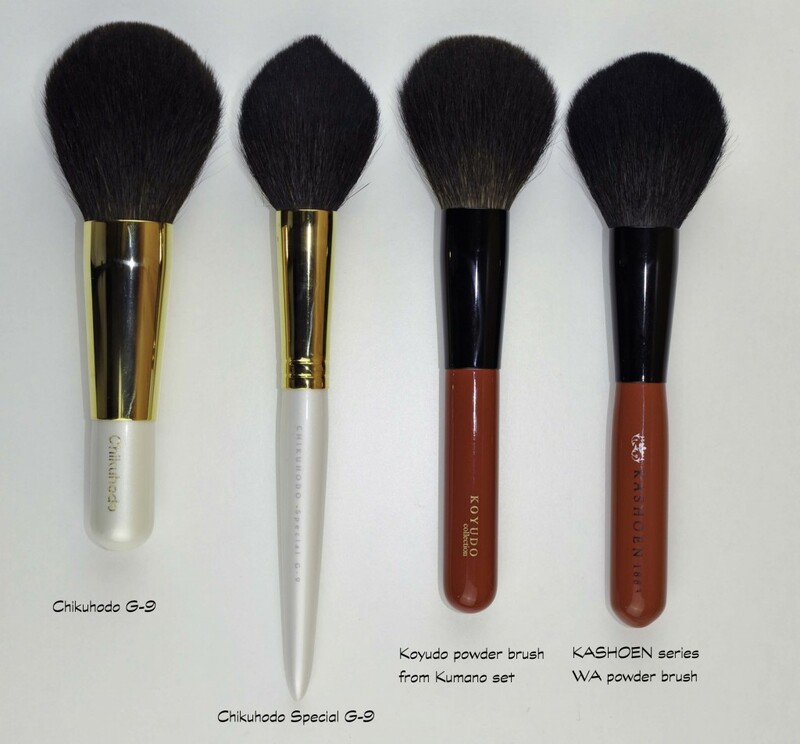 It’s a great flat brush, no doubts about that, providing you love flat foundation brushes. I haven’t found a flat brush that I could achieve a great finish with, I still feel I need to use another one to blend and finish the application and paying a high price for a flat foundation brush doesn’t change my mind about this. I thought this brush will maybe make me love flat brushes a bit more but not quite there yet, although it is more efficient than many other flat brushes since it has a higher blending powder, still not convinced by flat brushes vs goat brushes. You can read this if you want to know why I don’t love flat brushes on their own. Maybe one day I’ll change my mind and I will happy to own this Kashoen, but for now I will stick to using a flat one to place and roughly disperse and then a goat one to finish. When I arrived, I thought it would be easier to choose which brush I wanted. I initially just wanted one just because of their price (but I ended with 4…). After 1 hour pondering I decided it would be the powder brush, I thought I could get much more use of this one, for bronzer, a sheer coverage of powder foundation or for finishing with a highlighting powder. I wanted a big goat brush that made me want to use goat bristles more often, that is the case, I quite like to use it and it is efficient. I also like the shape, if like me you like to start from the center/corner of the nose it will adapt to the face really nicely. Regardless of the fact I like to use it, it’s not that mind blowing for the price. Specially because the bristles are not nicely placed in a perfectly even layer. Kashoen insist that their goat hair is a selection of the best of the best, but on the other hand Koyudo’s goat hair is softer (I am referring to their “baby goat chest hair” ), and it’s less expensive. 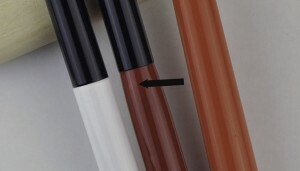 With regards to the quality of the “bundling”, the layering, or the finishing of the brush, Koyudo also does it better. Here is an example of how they compare in terms of size. You can see that, compared to the Koyudo on the left, the handle of the Kashoen is narrower in the center, I like that, it’s more pleasant to hold, but the quality of the ferrule and handle is similar. The density is spot on, it picks the perfect amount of bronzer and the application is straightforward and fool-proof. But I could just as well use the Chikuhodo special G-9 and get same results. The bristles of the Kashoen have a special auburn-reddish color, this may be due to dye but I am actually sending them an email and enquiring, I know some of you cannot use dye therefore I want to make sure. 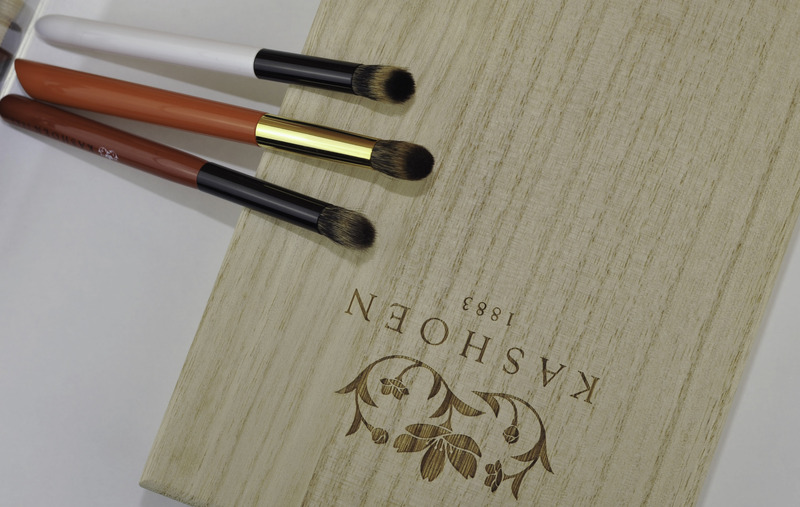 Nice size for blush or bronzer, less dense than the Hakuhodo S110, the application will be more natural and diffused. It is softer than the Yojiya goat brush. From this 4 brushes below my favorite is the RMK, I know it’s a squirrel brush so I shouldn’t be comparing apples with oranges, but the density and precise layering of this one makes it a great competitor against goat brushes, packs a lot of color and blends really well, so when I “need” a goat brush, I may as well pick the RMK instead and I am happy. What bothers me (a lot) is that the Kashoen blush brush has at least 10 hair out of length (10 are approx 4 mm longer than the others). For the price I am not happy with that. I didn’t noticed it at first and the quality of the application is not altered by this but if you are a perfectionist you will not like that ! It’s not an eyeshadow brush, it’s a highlighter and contouring brush, perfect for the nose area. It’s not as soft as the others at all, but it’s not scratchy. Not as precise either, as you can see in the pics, it will apply a more diffused contouring than the others and blend really well so for that it’s much better. 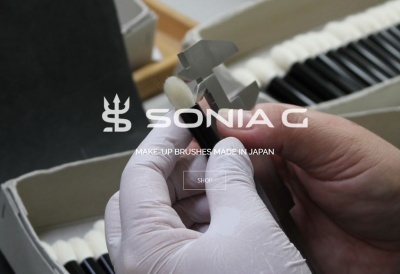 If you are looking for the most precise you should pick the Hakuhodo, if you are looking for the most versatile you should pick the Koyudo, both the Hakuhodo and Koyudo are extremely soft and dense. 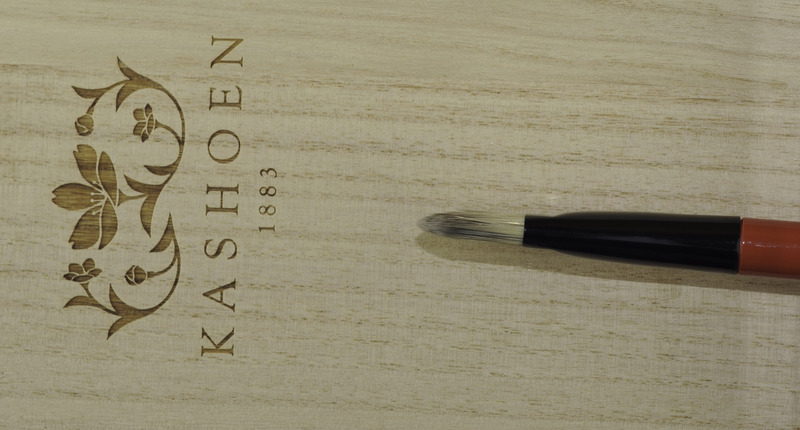 I found that the lacquered coat of the Kashoen highlighter brush is altered, I don’t know why, it’s like the second coat of paint is not fully finished. Maybe you can see it on the picture, maybe not… Again for the price, although it does what it says, I would be happier if it had no flaws ! Soft and efficient goat hair, doesn’t poke, the density is spot on, but not always evenly layered. 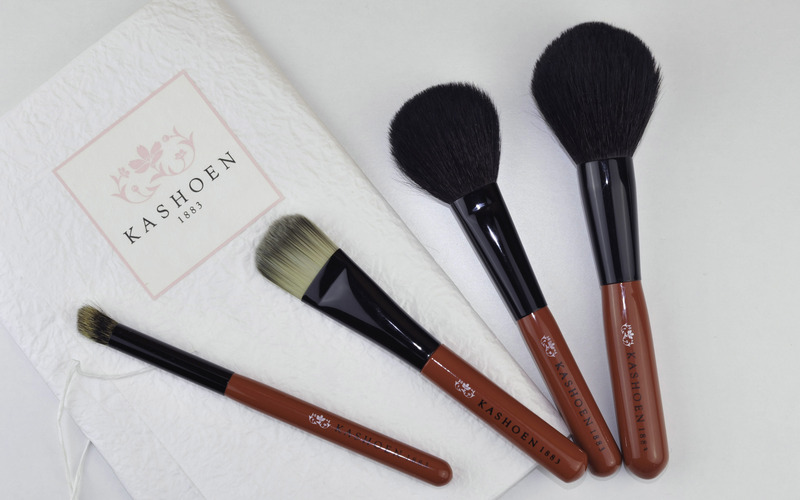 Nice and beautiful handles but the logo is already rubbing off on the powder brush. 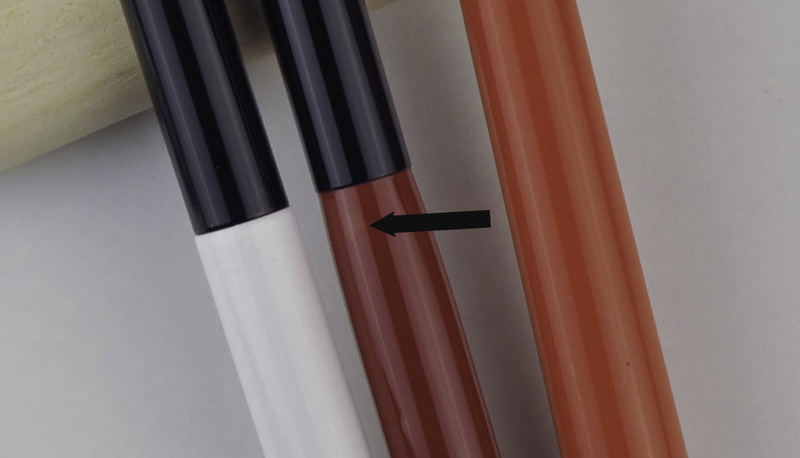 The Koyudo red ones that look similar are “engraved” with the Koyudo logo and the yellow paint of the logo is inside the engraving, so it won’t rub off as easily. I will feel sad the day the Kashoen logo disappears ! I am also sorry because I am sure they are great people and I have a huge respect for them. Unfortunately there aren’t many reviews online, I don’t know if all the brushes are like mine. Do you have any of them ? if you do, please share what you think ! Kashoen series was last modified: September 24th, 2014 by Sonia G.
I would like to know if any animals are harmed, in creating these brushes? they aren’t, if you need to talk to the brand, please don’t hesitate in contacting them directly. I love the packaging though! The idea of the handles narrowing in the middle is excellent. I really would love to know how others are, shame I don’t know someone who has them ! I wish someone could tell me. Ohhhh yes, I think that is a great idea too! 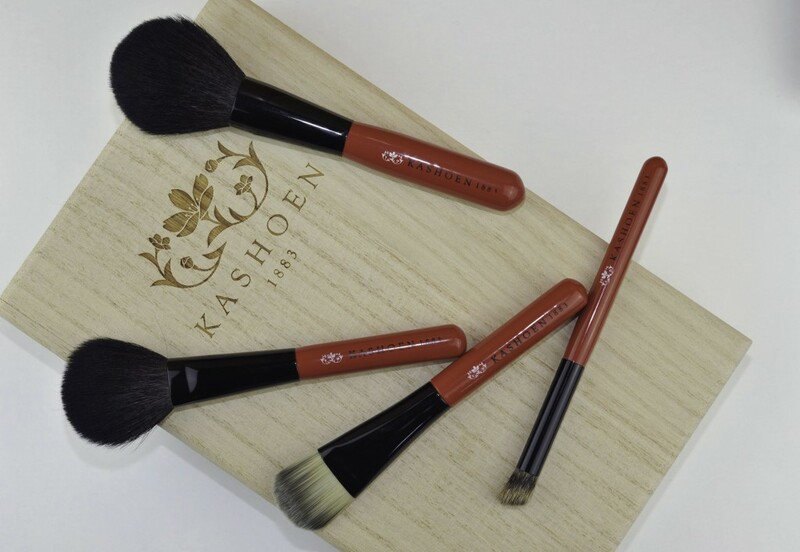 I’m sure the Kashoen brushes aren’t bad, it’s just that we are used to amazing!! It’s not only goat, it’s really nice goat hair for sure, totally worth the price if it was perfectly shaped. My regret here is the alignment of the hair, without that it would be an acceptable price. When I read this post I laughed because I know you as a Guru (now don’t get all modest on me ;). And I expect everyone else to know who you are too, Sonia. So the idea that these Sales Assistants wouldn’t lift their game when you’re there or make sure they give you the good brushes that are finished off properly, well it surprises me. I’m being quite serious. No one has your encyclopaedic knowledge across so many brush companies and their ranges. If I worked at one of those places, I’d be rolling out that red carpet for you, my dear! thank you !!! you crack me up ! I cannot believe what you say ! I am just a normal customer who is lucky to be able to try many brushes, nothing else. I don’t necessarily say I am a blogger when I buy or order 😛 It would be really weird for me to tell them beforehand ! She can wear a dress with a train of brushes… I will personally hold that train for you as you’re walking down that red carpet!! I don’t comment as often as I should, but I wanted to let you know how I savor each and every one of your posts! Whenever a new post from you comes up from on my feedreader, I make sure to read the others and save yours for last. That’s terrific ! I am very touched and couldn’t be happier ! When are you leaving ?? Because seriously, what you could do (if you really don’t mind) is take the 3 brushes that have flaws and ask them very kindly and respectfully if they are supposed to be like that, and then see what they tell you… I am not being rude, but maybe they are not usually like that and in that case I would love to have the 3 replaced, because I really like them and if they had no flaws I would be delighted with them. YOU BET I WILL MY DEAR!!! Shoot me an email incl detailed pics of the flaws so I can tell them that u got soooooo dissapointed with the highly ‘praised’ reputation. 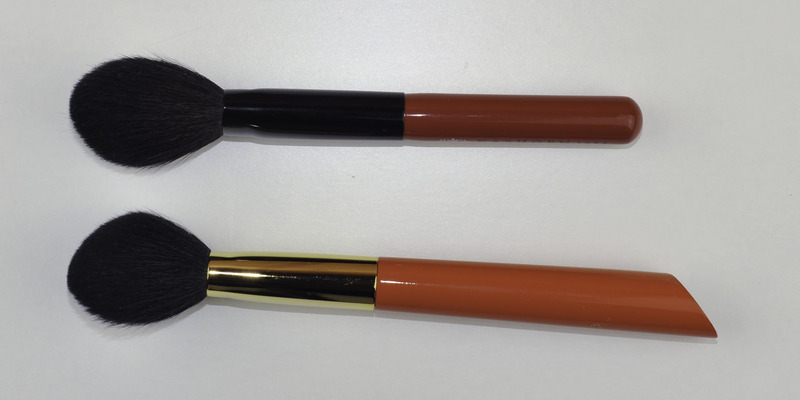 I mean they’re supposed to be the ‘Bentley’ of the brushes right?!?! Im leaving Sept 19! So u still have time to send them over! ok, so I will be back on the 8th, so it should be ok if I mail them on the 9th 🙂 they take around 4 days in Europe. will you have internet over there ? you’ll see that the highlighter brush, the coating in the back is not perfect. 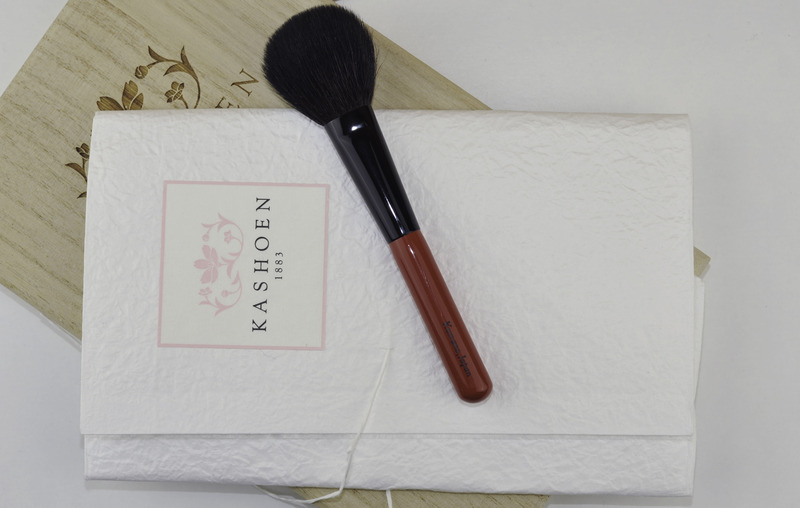 The blush brush has hairs sticking out needing a close shave and the logo of the powder brush is coming of. It’s quite obvious… if you can please ask them if that’s supposed to be like that, it would already help to know if these are their standards and if not, what happened with mine. I sure hope that this is NOT their standard, owise they should lower their price to meet this kind of standard! After 130 years of history I would expect NO flaws whatsoever with any of their brushes, whether its the ‘basic serie’ or the more expensive ones! If their philosophy is delivering products at high quality craftmasnship they should do better than this. After all they are so proud of such long history of craftmanship and their quality. can’t wait ! thank you so much !!! Sorry you didn’t get your money’s worth, but at least it’s still a worthwhile experience for both you and your readers, which I’m sure everyone’s grateful for. And you never know the extent of influence this blog may have 😉 (maybe the other Kumano manufacturers are reading this and laughing at Kashoen for getting a bad web rep, their sense of honor will kick in and they’ll reassess quality/pricing to really become the best, not just on paper). They do have a sense of honor and that’s why I am sad to have to write that I am not happy, but I cannot lie since it’s a awful lot of money to not be 100% satisfied with the quality. That’s the bad thing of a blogger, to have to say that knowing that the people behind are very kind. I hope it does help them to know how to improve the quality and also to know what customers expect in return. Don’t even worry about it! It’s perfectly reasonable that your loyalties are with yourself and your followers first. Yes, I’m sure the people who make them are lovely, but you shouldn’t worry about their feelings if the product didn’t deliver. I spent 40% of my income last month on brushes/tools etc (it’s not a huge sum, it’s just my income is tiny, lol!) so for me, I truly rely on blogs like yours for honest, thorough reviews for me to make a decision. Think if you’d twisted the truth, someone like me could become fixated with the idea of having something from them, lived very sparingly a month, two months to afford one, with incredibly high expectations, especially because of trusting your judgement, and it turns out to have such flaws. I’d be devastated if that happened! Good! You better feel better, or else :D! should be ok… I have approved it yesterday but my connection was plying tricks, can you please try to login ? yes I confirm, it says I already activated your account 🙂 hope it works !! Yes! I’m in! But I never received a confirmation e-mail, just the original one saying the account was inactive until someone confirms it and to wait for a 2nd email… Oh well! I know these types of reviews are hard for you but I just want to thank you for your honesty. Hopefully Melissa can see if you got duds. 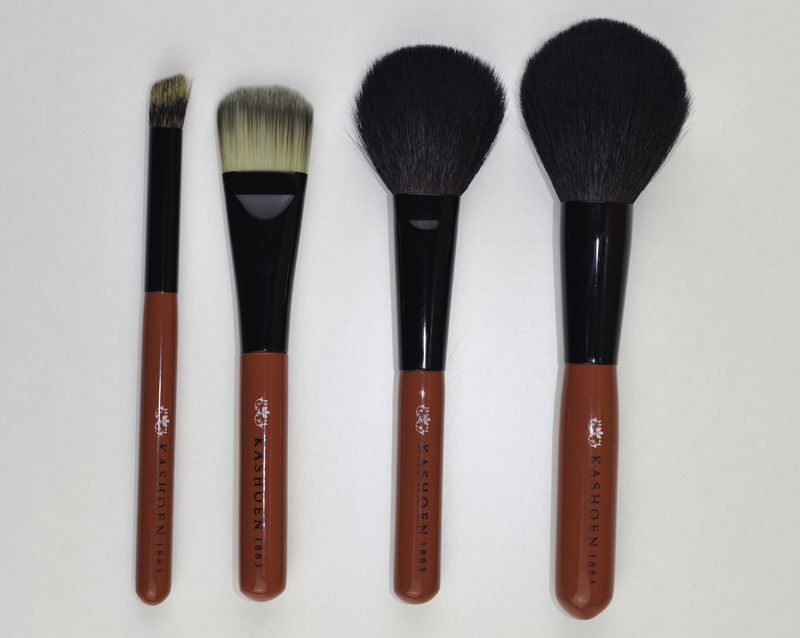 I know that with this brand you are paying for the name and heritage but there shouldn’t be this many flaws in four brushes at this price point. Thank you Devin, glad I have your support ! such a relief. It’s so rewarding to get such feedbacks, thank you Jillian !!! Sonia, thank you for your honest review. We are many people who consult your blog and trust your opinion enough to place a lot of brush orders on your recommendation. You are a semi professional brush critic – it is probably right that you are one of few with this extensive knowledge across so many brush types and brands – and we spend our money in trust of your opinion. So your reviews really should be honest and reliable. And thank you so much for sharing all your knowledge! 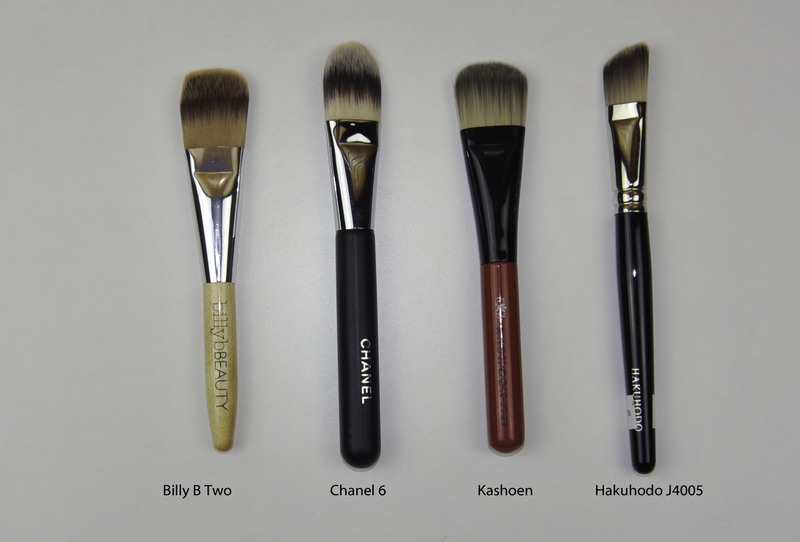 I think I have just gone into a massive brush research to broaden my brush collection – very much based on your blog and the comments here. I have lacked different functionalities for a very long time, but haven’t managed to find what I looked for. But then I found your blog 😉 You review the most amazing brushes that I had never even heard about before, and your comparisons across so many brands and pictures are wonderful! 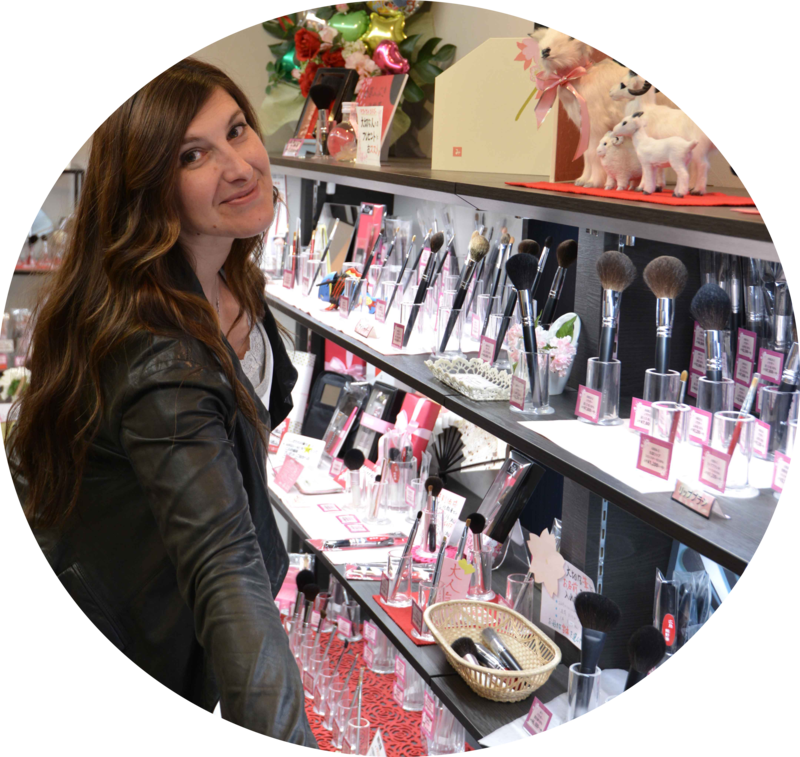 Your blog is very extensive, so I try to soak it all in, and figure out which of the brushes should go on my personal list. I find all your in depth (and honest ;-)) reviews very, very useful. So thank you!!!! This may be a little distant from your very insightful review… I want to tell my experience with logo/ model no. protection. I started to be serious with brush after meeting my MAC brushes, because it was expensive investment when nobody around me use one. I discovered that the lacquer of brand and model name can be easily rubbed off, although engraved. So I always add varnish after taking photos, so I have to painfully drool over sth I own for days even I bought them home…but I don’t know if keeping an old bottle is the reason to get air bubbles appear for those perfectly painted brushes ‘ dried patch. A little but unhappy accident was that I used Dior base nail varnish for coating on my Z series and the white paints dissolves (it was an approach shared online) and I try my luck and try to clean off the milky mess with nail varnish remover (serious paint dissolving). So my brand name or brush title becomes blurred at the diaster area… stupid me. As I am slowly expanding my brush collection, I am so used to varnish protection no matter what brand it is, and I don’t do rubbing test at any spot along the wand. Oh, for very seriously imperfect varnish job, I use alcohol to clean it up, not so perfectly, but wand will look better. It was a gentle approach, inspired by MAC e/s depotting videos, when they sow how to dissolve the glue. My Z series look saved. But just becareful with Hakuhodo brand name’s paint, super easily rubbed off the irridescent layer, never want to clear any imperfection with alcohol even if present. phew, relieved 🙂 at least you saved them ! great ! I am scared to apply nail polish on luxury brushes but I wish the names would last longer on them. I will just damage the way it looks and the lacquer of these handles should remain pure. Even if I handle them with care, the logo will rub off one day or the other … sad. maybe we can use thermal plastic that people in bookstore wrap new books with? Another crazy experient…I saw those plastic cling to shape and leave no gap. Wait for your Royal Kashoen review! I know the day will come…..eventually.